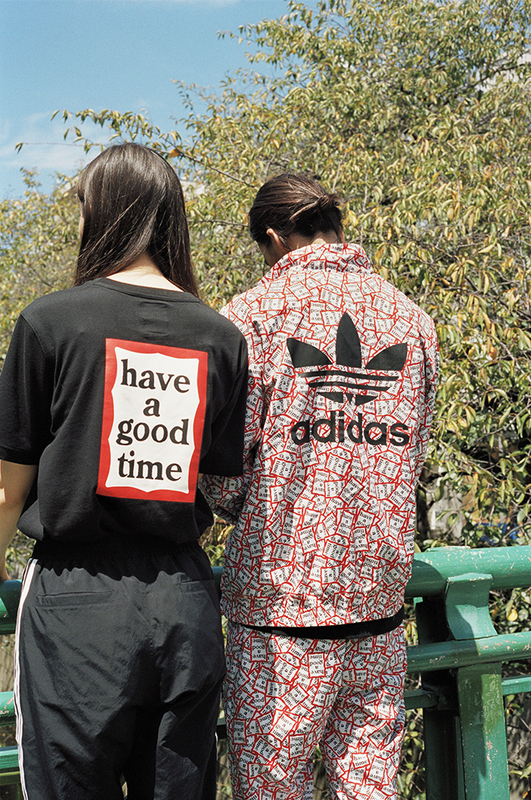 HAVE A GOOD TIME X ADIDAS ORIGINALS cover all your tricot based needs. 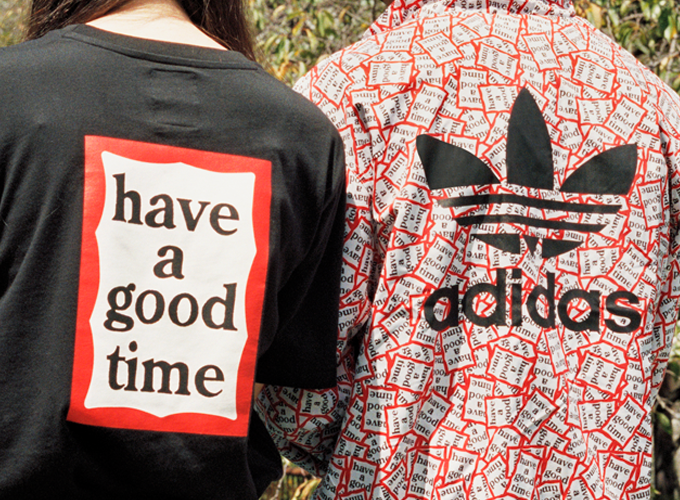 Cult Tokyo retailer and brand HAVE A GOOD TIME have linked up with ADIDAS ORIGINALS for a capsule collection of apparel and footwear that’s set for an imminent release with selected retailers. 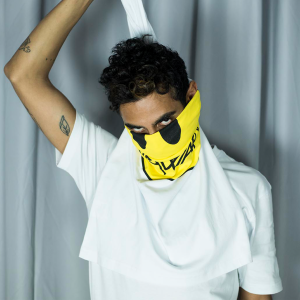 Since they set up a small independent retail space in Tokyo’s Nakamenguro district, HAVE A GOOD TIME’s collection of street artists and creatives have been gaining world wide attention for their free and easy attitude to clothing and culture. 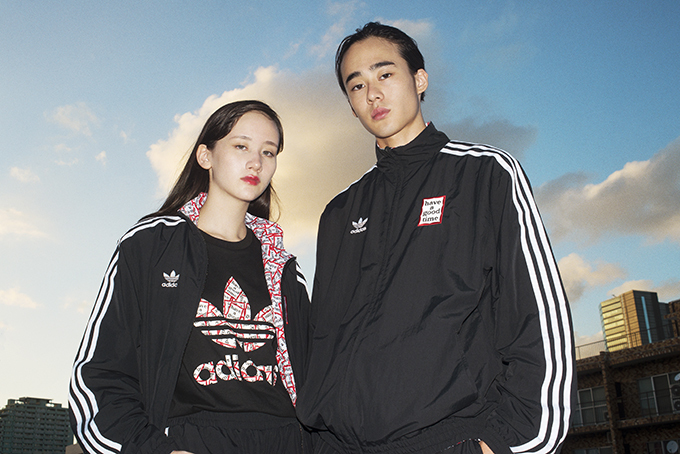 Linking with the German sportswear giant they have put together a selection of bold tracksuits, jersey tees and a ADIDAS SAMBA shoe. 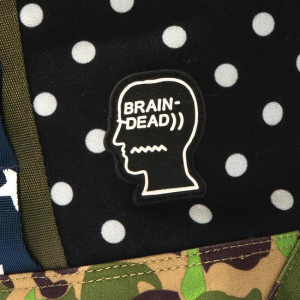 Every piece is elevated with the use of both brands instantly recognisable branding and fastidious attention to detail.